Adrian works in our clinic, where she handles Invisalign cases, bonding and adjustments, and takes X-rays, 3D scans, and diagnostic photos. She joined us in 2018, bringing with her five years of experience in the field. When not working, Adrian enjoys traveling with her amazing fiancé and two handsome sons. The family likes trying new outdoor activities on weekends and makes a point of spending time with family and friends. Jessica spends her days in the clinic, where she offers patient care and assists the doctors in creating beautiful smiles. 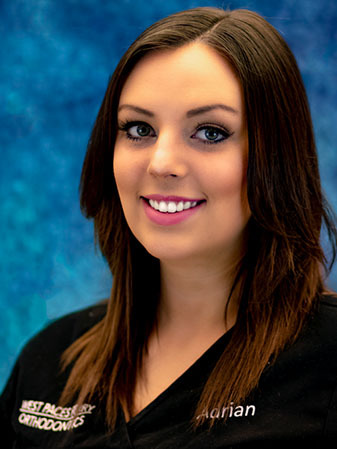 She is a Certified Orthodontic Assistant and joined us in 2012. Enjoying quality time with her husband and kids is Jessica’s priority outside of the office. Kortney makes sure each patient’s visit is pleasant. She provides detailed homecare instructions, delivers appliances and Invisalign®, takes Invisalign scans, and makes follow-up calls to ensure our patients are pleased with their visits. 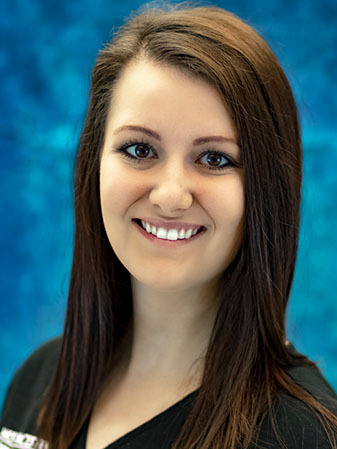 Kortney attended the Orthodontic Assistant School of Atlanta, graduating in 2014, and joined us in 2018. She also holds a BS in Biology from Kennesaw State University. 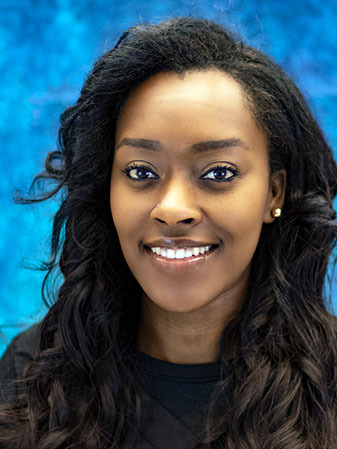 When she’s not working, Kortney enjoys swimming, playing kickball and basketball, eating, and traveling the world. Learning about different cultures and tasting different foods makes her happy. Liz works at our front desk, where she greets and checks in patients, checks them out when finished, and schedules visits. 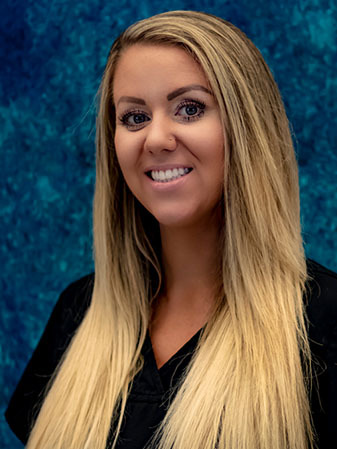 She’s been with us since 2017, having started in the field with a Dental Assistant degree in 2014. Outside of work, Liz loves the outdoors, especially camping and hiking, along with music festivals. She also treasures time with her family and friends. 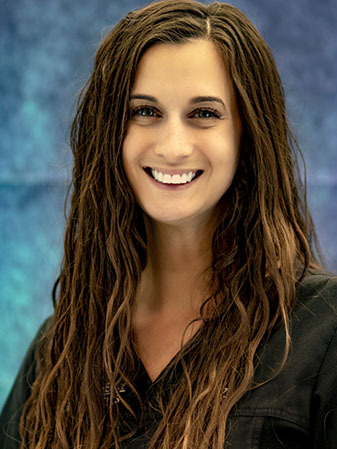 As an orthodontic assistant, Michele performs Invisalign scans and delivery and assists the doctors with bonding and adjustments. She also handles doctor-less consultations. 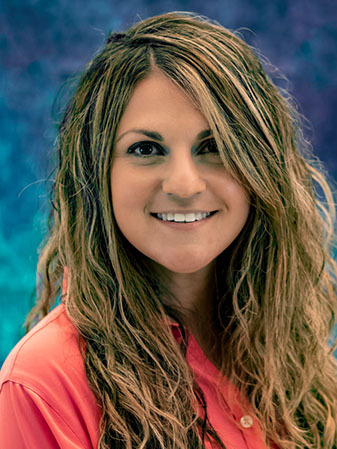 Michele is a Registered Dental Assistant and a Registered Orthodontic Assistant. She’s worked in the field since 2012 and joined our practice in 2015. Michele and her best friend, Kyle, were married in 2015. They are the proud parents of Reggie, a cockapoo, and Peter, a tabby. Renee works with patients during treatment planning. She explains what their treatment will involve, discusses options, and covers financials and insurance matters. She has been with West Paces Ferry Orthodontics since 2007. Most of Renee’s free time is spent with her husband and two daughters. She enjoys cooking, working out, and being with family and friends. 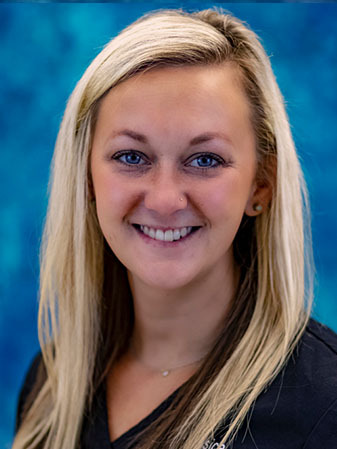 Stacey oversees all aspects of the clinic, ensuring we’re running on time and prepared for each patient’s procedure, as well as managing our inventory. She started in the field in 2002, is expanded duties and X-ray certified, and was trained by Dr. Yurfest, starting in 2012. Stacey shares her life with her amazing husband, two young sons, and a dearly-loved French bulldog. The family enjoys time together, watching the oldest boy play baseball, and traveling. 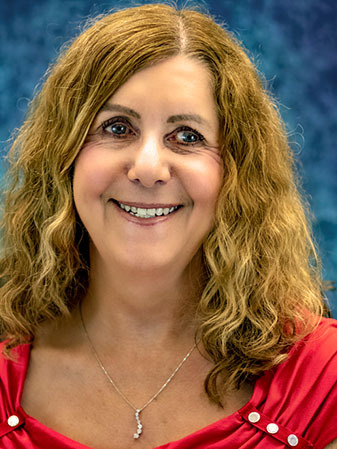 As our Office Manager, Terry is the go-to person for questions about insurance and financials, contracts, and any concerns a patient might have. She has more than 26 years of experience in the field and joined us in 2011. In her spare time, Terry loves to travel with her husband of over 35 years. She is the proud grandmother to seven grandchildren and loves spending time with them and her children. Kenny manages our communications within the office and presents a clear and consistent message in our marketing and customer interactions. 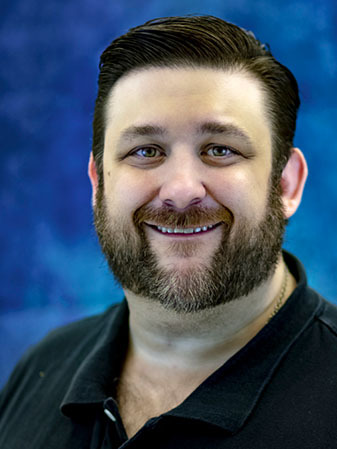 He joined WPFO in 2006, leading our office into a new world involving social media and instant communications with our patients. At home, Kenny has a crazy Bengal cat named Jack. He spends most of his free time trying to keep Jack under control and working on his photography.